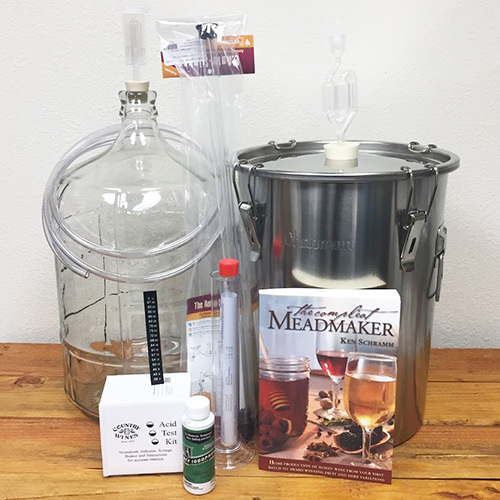 HOPDROP™ hop extract is the perfect way to bitter your beers without astringency and without losing volume to excess hop material in the kettle. No hop spider is needed for this hop shot to boost the "clean" bitterness in your homebrew. Each 5 mL syringe delivers about 50 IBUs in a five gallon batch. HOPDROP™ is packaged in a syringe to 5 ml with a clean cap. It is then packaged in a resealable oxygen barrier bag which has been flushed with nitrogen. What is HOPDROP™ hop extract? 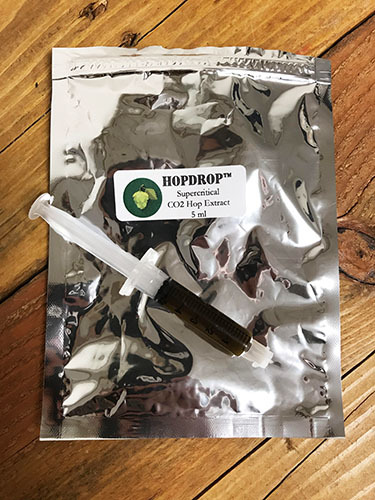 HOPDROP™ is a pure resin extract of hops by use of CO2 as a solvent in a supercritical fluid state. 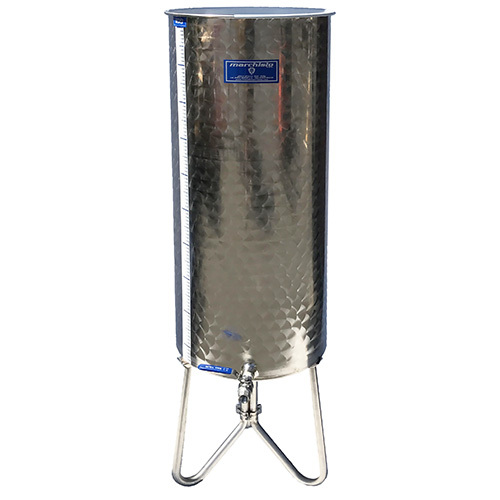 The supercritical fluid state of CO2 is achieved when temperature and pressure are increased to a point where the CO2 takes on physical properties between a gas and fluid state, allowing it to be used as a solvent for extracting hop compounds with little damage or denaturing. IBUs or International Bittering Units is a measure of isomerized alpha acids in ppm (parts per million or mg/L). 1 IBU = 1 mg or .001 grams isomerized alpha acids per liter. * Grams of Alpha Acids is identified on the HOPDROP packaging and is unique to each batch of extract. It is dependent on the original hops from which the extract was made. The label will identify the number of grams of alpha acids in each 5 ml syringe.